A few days ago, I spotted a strange title on a physics paper, claiming to have produced negative mass. I gave it a read. No they didn’t, I thought to myself. I will not cover this interesting but esoteric cold atomic physics paper. Then came the press release, and soon after, the headlines from folks who fell for the ruse. One article even claimed it could “help explain black holes.” And now, I have to tell you, physicists did not create negative mass. 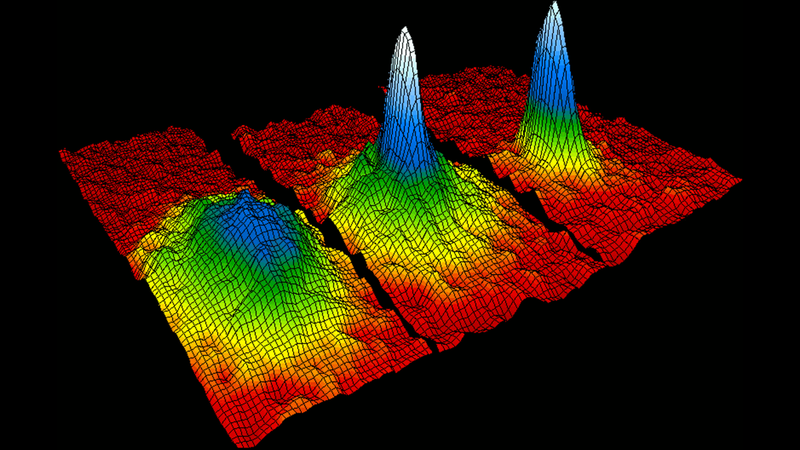 Physicists created a negative effective mass, trusty physics debunk-blogger Sabine Hossenfelder writes in her Backreactions blog. Not a negative mass. Dropping the “effective” makes an enormous difference. And no, this lab-made atomic arrangement, similar to some other cold physics things we’ve covered before, does not explain black holes, the expanding universe, or any other weird phenomena of the cosmos. So, what actually happened here? When you chill collections of certain atoms to ultra-cold temperatures, they take on wacky properties—the strange laws of quantum mechanics begin to apply to larger sets of particles than they usually do. That’s why we can have things like superfluids and supersolids whose atoms seem to pass through each other without resistance. 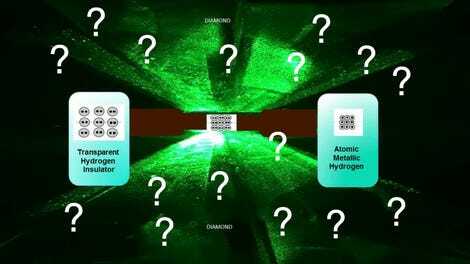 The researchers took around 10,000 rubidium atoms and trapped them using a pair lasers, then endowed them specific properties using another set of lasers. They turned off one of the trapping lasers, and some of the rubidium atoms spread and pushed themselves apart. But some of them didn’t spread, and even moved the opposite direction the physicists expected them to, according to the paper published last week in Physical Review Letters. Does that sound like negative mass to you? It shouldn’t, because it’s not. It’s negative effective mass. The reason this phenomenon has the name negative effective mass is because of the equation used to describe what’s going on, explains Hossenfelder. If you look at the energy of the system and do a little calculus on it using the regular laws of physics, the mass term would be negative—but also dependent on other terms. Negative effective mass is not an innate property of the atoms themselves. In other words, this isn’t someone pushing a bowling ball and then the ball rolling back to them, which is an analogy to classical physics similar to the one people have been using. It’s a highly-engineered fluid spreading apart strangely. “What this “negative mass” hence means is that if you release the condensate from a trapping potential that holds it in place, it will first start to run apart. And then no longer run apart,” writes Hossenfelder. “That pretty much sums up the paper.” Plus, this negative effective mass isn’t all that new. “In the type of physics I work in, having a negative effective mass is quite routine,” said Abergel. But that headline wouldn’t be nearly as exciting or clicky, would it?